Acoustic Concert @ Mtoni Palace with heaps of candles! Come and enjoy this special atmosphere with beautiful melodies on oud, guanun, violin, nay and tabla. Looking forward to seeing you all there at 18:00 –18:30 pm. Including tour around the palace as well as lemongrass tea and kashata! PLEASE NOTE THAT THE CONCERTS WILL CONTINUE WEEKLY ON FRIDAYS! Save the date: Jahazi Literary & Jazz Festival is in September! Looking for a scintillating weekend of open-air jazz concerts, storytelling, poetry readings, free music and literary workshops, VIP dinners and the best after parties in town? Then book your flight and come and see us in Zanzibar!. Welcome to Jahazi Literary & Jazz Festival 2012! Join us for a long and lazy weekend of literary and jazz delights featuring home grown and international talent, all ready to take center stage in the world heritage site of Stone Town, Zanzibar. The rich diversity of festivalgoers, all looking for first class entertainment, enjoy being mentally stimulated by great debate, frank, and honest discussion. And so, to balance out the fun-side of our festival, the topical theme that highlights serious issues and encourages festivalgoers to take part in open debate and share their views is – ‘The current global economic state, its origin and relevance to Africa, and where should we go from here?’ – not to be missed!. and the tribute song for MV Spice Islander which sank while he was on the Island. Hopefully he will be back this year and we are all eager to see and hear him again! 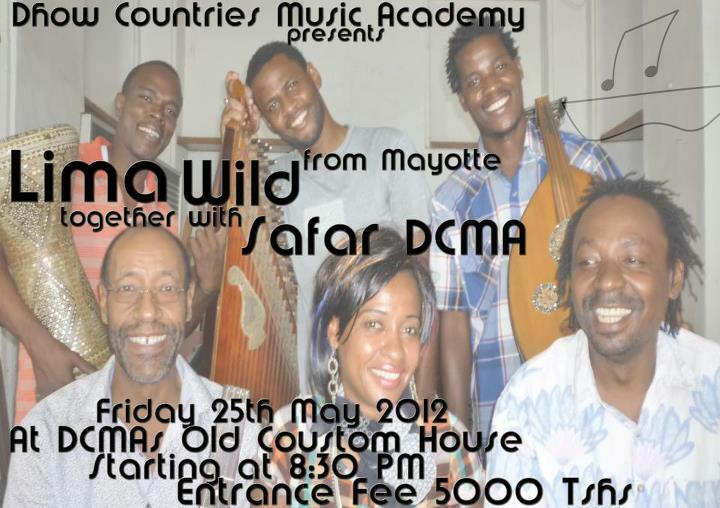 Friday 25 May 2012: Dhow Countries Music Academy Concert! One of the oldest traditional festivals is the celebration of Mwaka Kogwa. The festival marks the arrival of the new year, or ‘Nairuz’ according to the Shiraz (Iran) calendar. 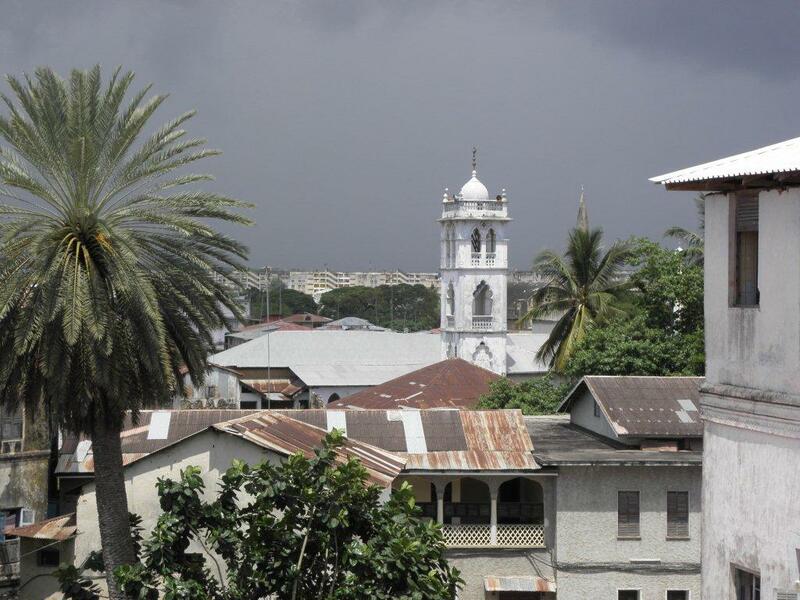 Shirazis were the first foreigners to settle in Zanzibar in any number, and many aspects of their culture were absorbed by the Swahili people and were given a local context. 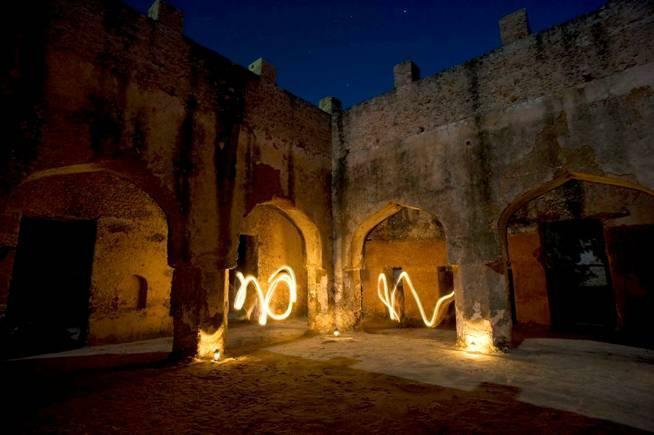 The festival is celebrated in many parts of Zanzibar, but it is in Makunduchi, south-eastern Unguja , that the ancient rites are most enthusiastically and elaborately followed. People flock to Makunduchi from all over Tanzania and beyond. There are many different rituals involved in seeing out the old year, and welcoming the new one. The Mwaka Kogwa usually lasts about four days. However, it is the first day which is the most interesting and exciting. In the centre of the town is Kae Kuu, a large, open space and it is here that the action starts at about 11 in the morning. Two brothers from the southern part of Makunduchi take on two other brothers from the northern part in a ritual physical combat. When the fight is almost over and the combatants exhausted, a small coconut thatch pyramid-shaped hut is built at the eastern end of Kae Kuu. A local magician goes inside the hut which is then set alight. With the flames roaring, the magician rushes out and throws himself unscathed into a nearby bush. Everyone around then, throw earth and stones on the fire to extinguish it. Thus it is believed, that if someone’s house should catch fire in the new year, there would be no loss of life. People return to their homes to prepare for the feast after fighting has ended. Celebrations continue on the nearby beach until the new year is well and truly welcomed. The Zanzibar International Film Festival (ZIFF) is one of East Africa’s largest cultural events and usually takes place each year in July. ZIFF presents an exciting and varied programme of international films and videos, music, dance, drama and art exhibitions. ZIFF is East Africa’s largest film, music and arts festival, bringing new talents together from all over the world for a Zanzibar Tamasha! Each year, some of the most captivating and cutting-edge cinema from Africa and beyond is screened in venues across the island. From world-premiers to local shorts, we’ve got it all, with a long history of showcasing the highest quality film from all over the world. Films are submitted based on a yearly theme – this year is ‘Season of Visions’ – and entered into various categories and competitions. The final night is an awards night, where the winning films are recognised and celebrated. ZIFF also puts on the island’s best parties. Live music, dance, DJs and performance across several venues means that carnival fever hits Zanzibar for 2 weeks! We bring musicians together from all over Africa, as well as recognised international acts. 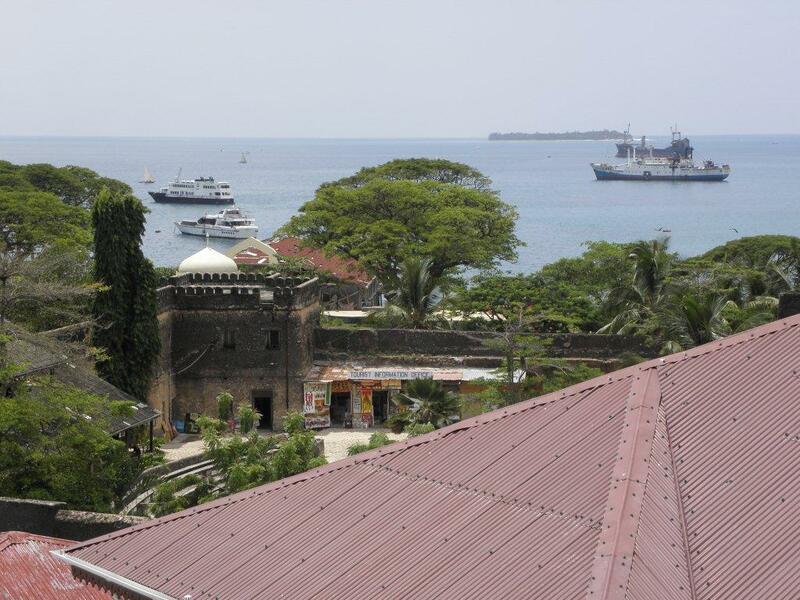 A Zanzibar institution, ZIFF is a truly local festival, with exhibitions, workshops, and cultural tours that take you to the heart of the community. We promote local talent in film and music, showcasing new and old creative achievements. As ZIFF comes to town, so too do opportunities for recognising arts and crafts – the festival is always a hotbed of activity! Set just behind the old fort and house of wonders, our 44 room hotel is a shining star in the labyrinth of stone towns’ best shopping district. 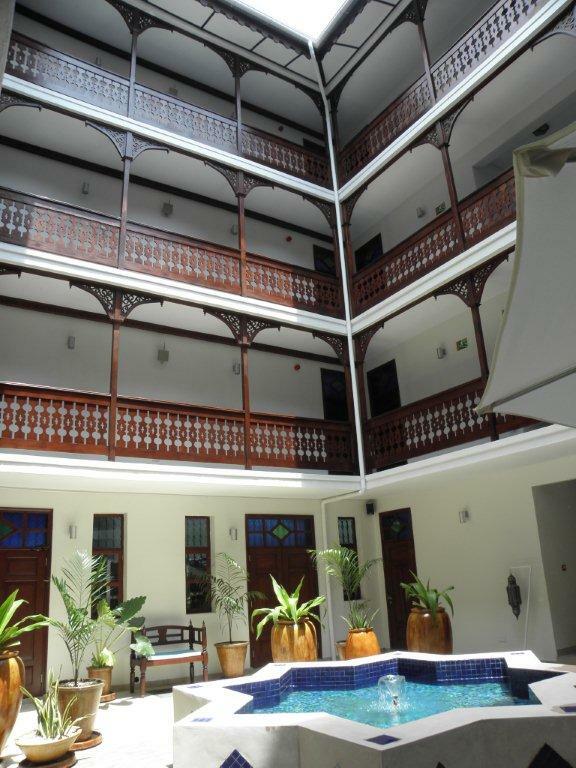 Each room has all of the creature comforts you need to make your stay in zanzibar a truly memorable experience. Maru maru has a rooftop terrace restaurant and lounge and is the perfect place to unwind. the 360* view is breathtaking and gives you a bird’s eye view of the city and the turquoise waters of the Indian ocean. 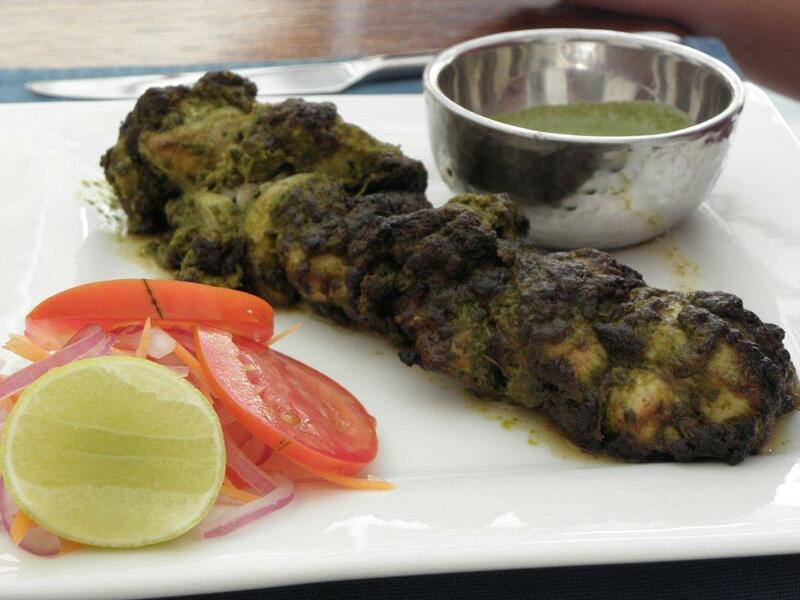 South & North Indian cuisine is the specialty of the house as well as some of the islands best cocktails. Sundowners at Maru Maru are legendary. 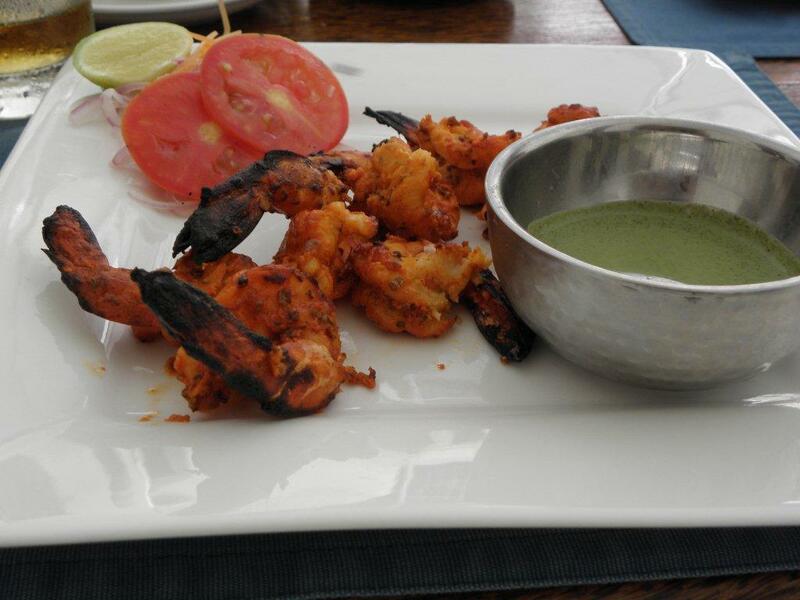 Located off of our fountain courtyard, the restaurant offers a peaceful oasis from the city. You can enjoy all of Maru Maru’s culinary delights in either the air-conditioned grand hall or sit under an umbrella by the tranquil fountain . 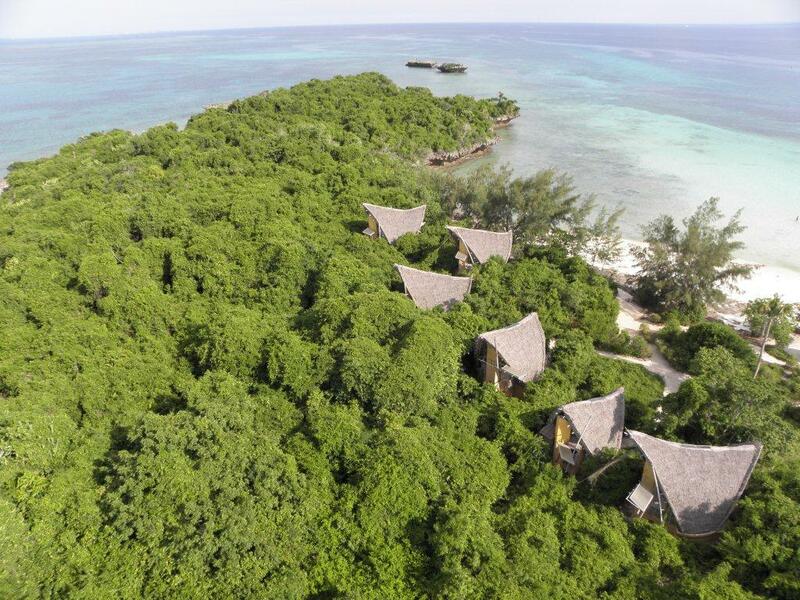 CHICOP is an award-winning private nature reserve that was developed from 1991 for the conservation and sustainable management of uninhabited Chumbe Island off Zanzibar, one of the last pristine coral islands in the region. The park includes a fully protected coral reef sanctuary and forest reserve that harbour extremely rare and endangered animals, a Visitor and Education centre, a small eco-lodge, nature trails and historical ruins. All buildings and operations are based on state-of-the-art eco-technology aiming at zero impact on the environment (rainwater catchment, photovoltaic energy and solar water heating, composting toilets, vegetative greywater filtration etc.). The overall aim of CHICOP is to create a model of financially and ecologically sustainable Park management, where ecotourism supports conservation, research and comprehensive Environmental Education programs for local schools and other benefits for local people. After the discovery of Chumbe’s incredibly bio-diverse reef eco-system several years of campaigning by CHICOP succeeded in officially closing the fringing reef West of Chumbe Island in October 1992. 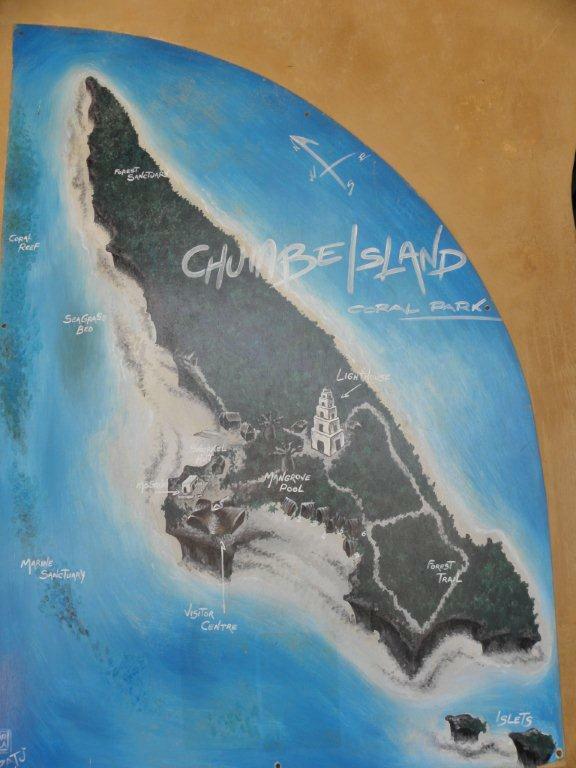 With Chumbe being located upstream of the most important fishing grounds opposite Zanzibar’s capital, Stonetown, the Chumbe reef provides a protected breeding ground for fish, corals and other species which can then spread out to recolonise nearby overfished and degraded areas. 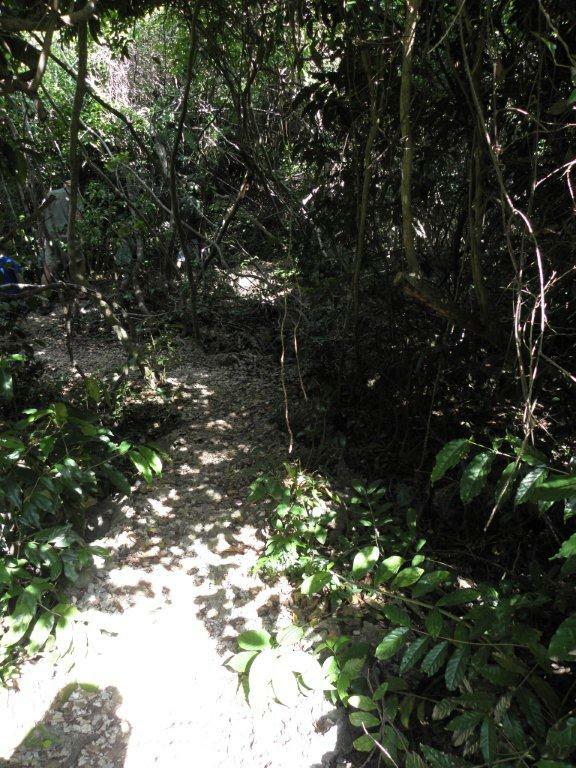 A network of nature trails crisscross the southern part of the virgin coral rag forest that covers about 90% of Chumbe. •observe the rare giant Coconut Crabs -Birgus latro-. They can reach up to 45 cm in diameter! 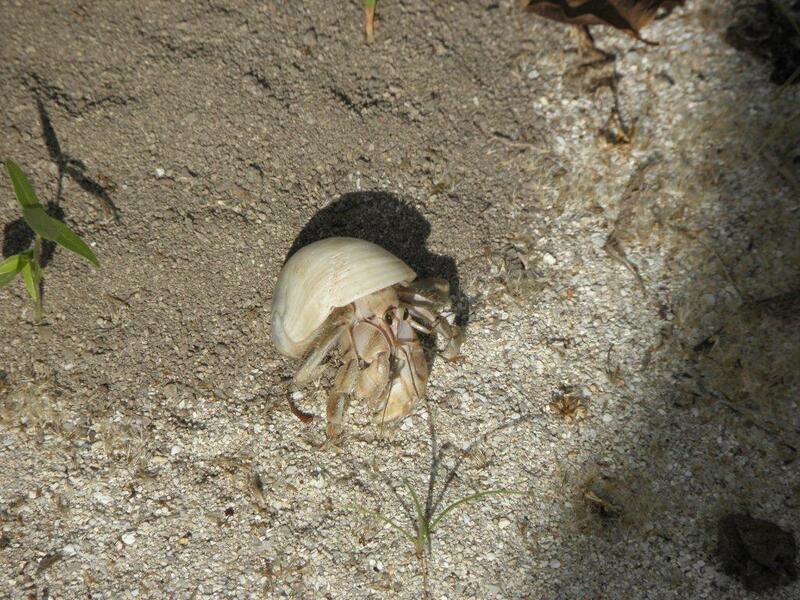 These invertebrates roam about at night and are able to climb palm trees to reach their sought-after coconuts. 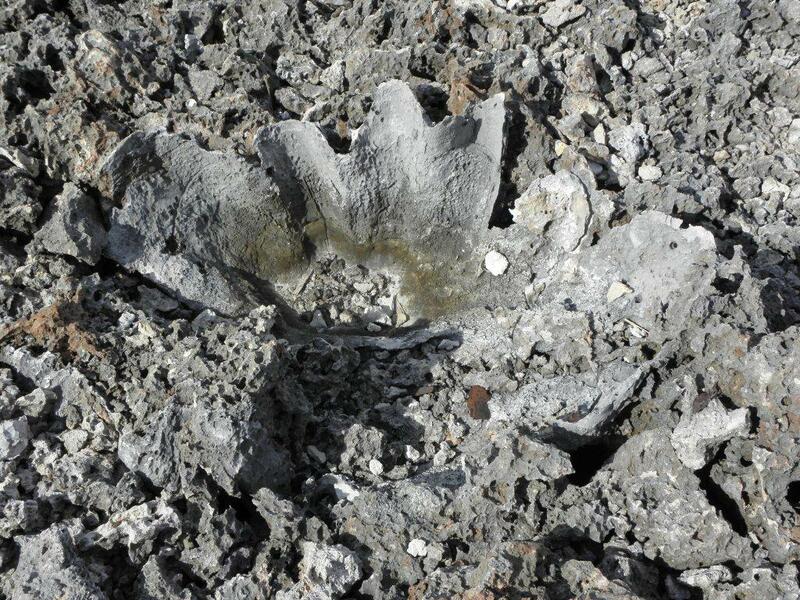 •identify the best examples of petrified stone corals and giant clams that are 15,000 years old, in the rocky lunar landscape on the eastern side of the island where salt sprays from the sea prevent vegetation. Being a Marine Protected Area (MPA) the focal aim of the Chumbe Island Coral Park Project is to preserve Chumbe Island’s exceptional environment. 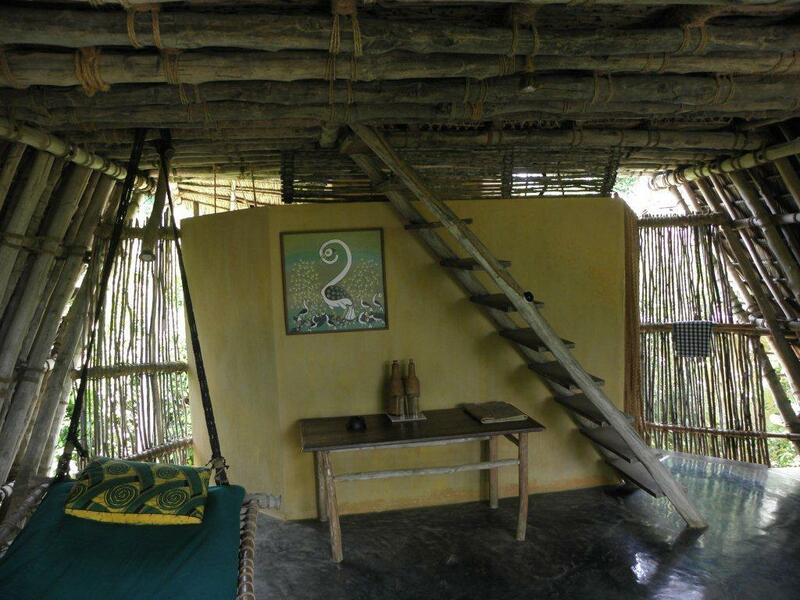 Therefore accommodation is based on the state-of-the-art of eco-architecture and eco-technology. • As there is no ground water source in the rocky substrate of the island, each bungalow collects its own freshwater supply from rainwater (captured from the specially designed expanse of roof) during the rainy season. This rainwater passes through a complex filtration system and is stored in spacious underground cisterns (under each living room). The water is then hand-pumped through a solar-powered heating system into hot & cold-water containers for the shower and hand basin in the bathroom. •The used water from showers and basins is filtered through particulate filters, ending in specially sealed plant beds so that no polluted water will seep into the Reef Sanctuary. These beds are planted with species that are demanding in water and nutrients, and therefore easily absorb any remaining nitrates and phosphates. 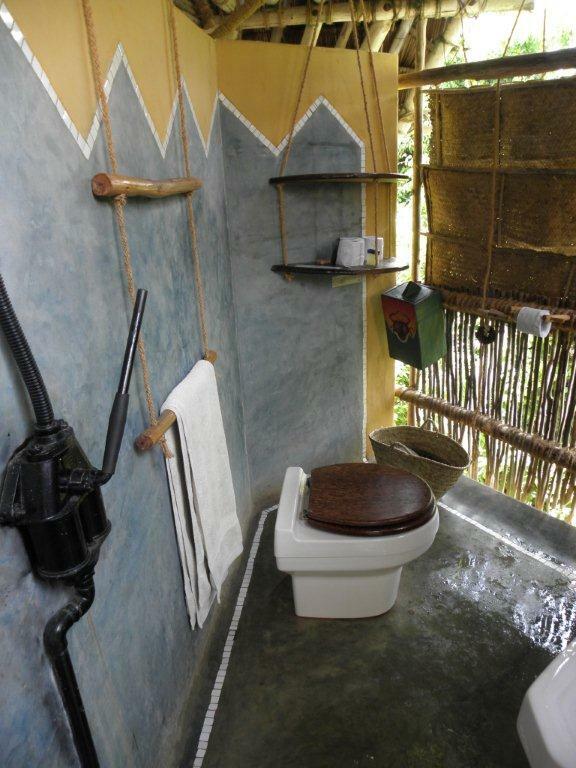 •To deal with sewage composting toilets have been also installed . These eco-toilets prevent sewage (from septic tanks) seeping through the porous ground into the Reef Sanctuary, (as this would lead to pollution of the fragile reef ecosystem, encourage algae growth and finally kill coral communities and organisms depending on them). Instead, human waste is quickly decomposed to natural fertilizer when mixed with compost (aerobic composting) in the compost chamber. •Lights are powered by photovoltaic panels on the roof that provide ample environmentally friendly 12V energy for normal usage. The open design of the bungalows, with minimal barriers to the open air, allows for maximum through-draft for cooling of the bungalows; a form of natural air-conditioning. 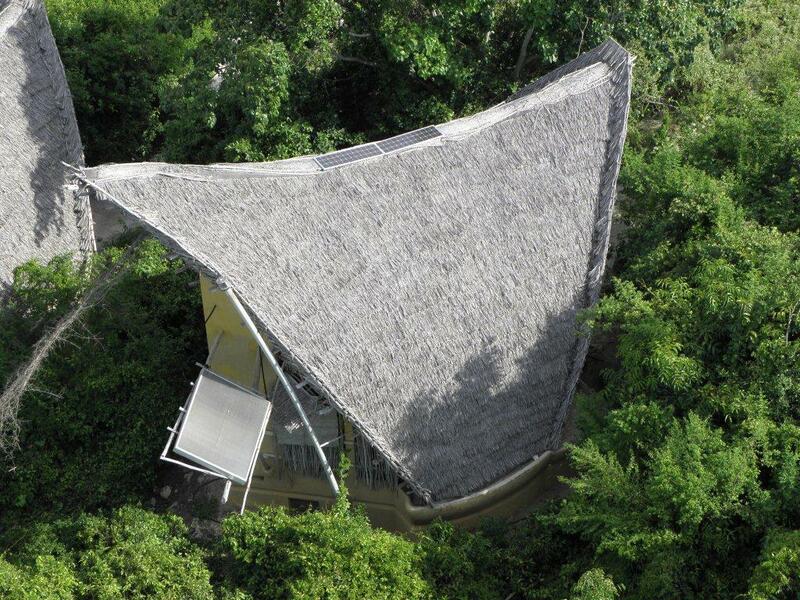 To enhance this louvres are in place that can be lowered or closed depending on the desired temperature. 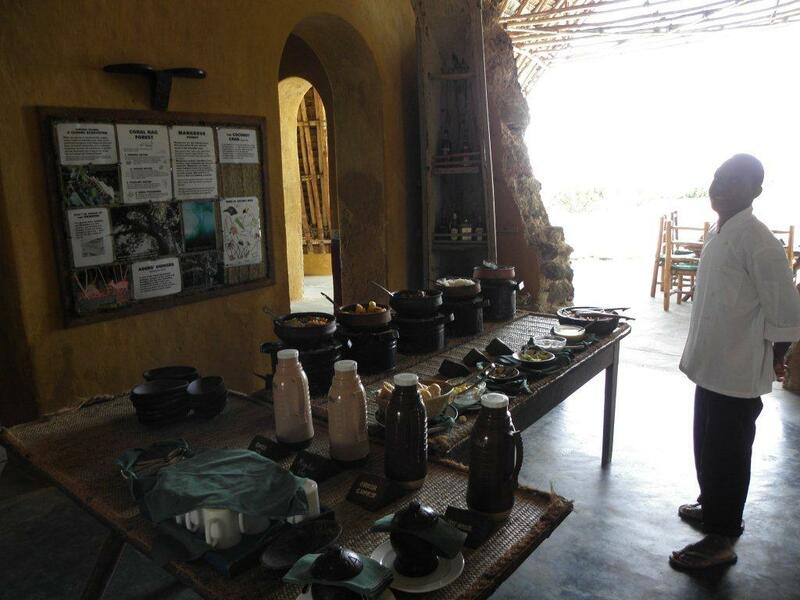 Last, but not least, dining takes place under the roof of the visitor’s centre, which overlooks the sea between Zanzibar and mainland Tanzania. The chefs provide an abundant supply of mouth-watering dishes that are a mixture of Zanzibarian, Arabic, Indian and African tastes and satisfy both vegetarians and non-vegetarians.